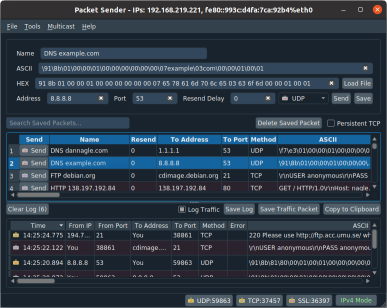 Packet Sender - Free utility to for sending / receiving of network packets. TCP, UDP, SSL. Award-winning free utility to send & receive network packets. TCP, UDP, SSL. 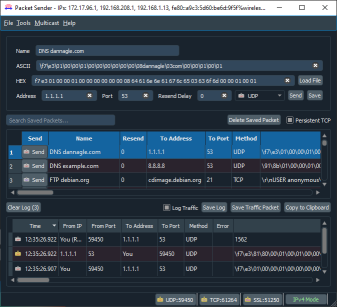 Packet Sender can send and receive UDP, TCP, and SSL on the ports of your choosing. All servers and clients may run simultaneously. Any data can be defined. 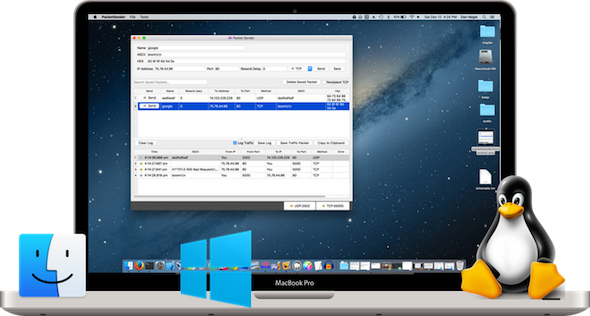 Packet Sender was designed to be very easy to use while still providing enough features for power users. Send SSL and then analyze the traffic log. More screenshots can be found in the documentation. Download the full version. Free. 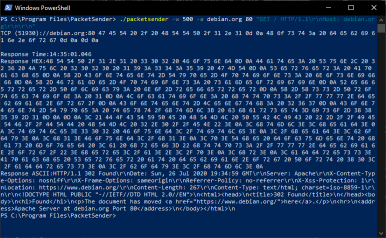 Packet Sender is open source. It will always be free.